I’m using Jeff Rose’s investing challenge to grow my dividend portfolio this year. In the past, I’ve dabbled a bit with dividend investing. I have a few dividend aristocrats as part of my emergency fund, and my Roth IRA at Betterment contains DRIPs. However, my dividend portfolio is far from organized. When Jeff Rose decided to make investing the focus of his next movement, and when he announced the Grow Your Dough Throwdown, I decided this was my chance to change things up a bit. The challenge includes a number of bloggers, including buddies of mine, investing $1,000 now at the beginning of the year, and then seeing where we all stand at the end of the year — without adding new money to the account. 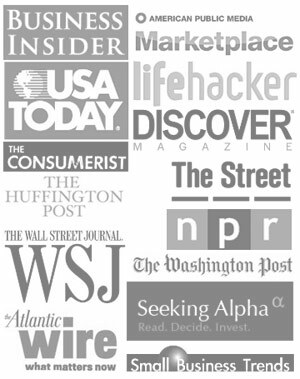 I’ve decided that now is the time for me to get serious about building an income portfolio. Or at least building the foundation for my dividend portfolio, since $1,000 isn’t a whole lot of money to use to get started. But this is something I’ve wanted to do for a long time, and so I’ve decided to make this my main financial goal for the new year. January 2, and I’ve already accomplished one of my resolutions! What’s in My Dividend Portfolio? So, to start, I decided to put the bulk of my $1,000 in funds that pay dividends. This is a strategy suggested by Mike Heroux in Dividend Growth: Freedom Through Passive Income. If you are starting small, he suggests funds so that you aren’t breaking up your money into less efficient individual investments. It’s usually fairly easy to find low-cost funds, so that’s what I did as part of my effort. I know one of the founders and I used to write for him. I already had an account, even though I’d never used it, so I didn’t have to do anything to open a new account, and I’m lazy like that. They offered me 10 free trades, which is great because they charge $7.95 per trade (unless you hit up one of their “Happy Hour” promotions) and that’s even more than Sharebuilder charges. So, here you go. Here’s what I’ve invested in, and why. On this, the first trading day of a new year, it’s kind of depressing because the market is down. But that might be good, because, hey, it means that I got things just a little bit cheaper. My biggest holding is a high-yield international dividend fund. 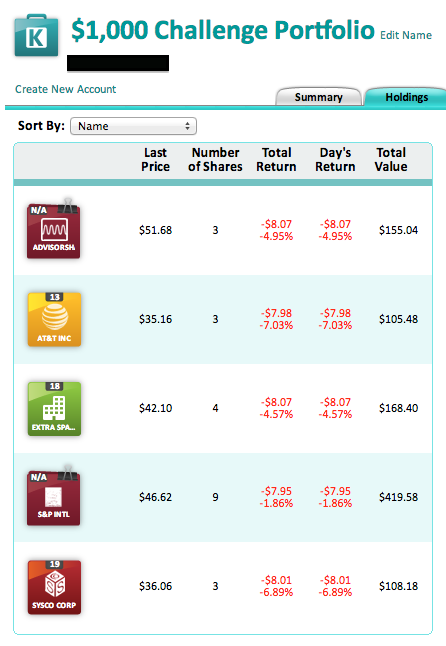 When putting together this dividend portfolio, I also took into account my holdings elsewhere. I don’t have a lot of geographic diversity, so I decided that I’d pick a fund with no U.S. stocks in it. Hopefully the high-yield nature of the fund helps out. Also, I’ve long wanted to try out a REIT, so I decided to go with one of those. EXR focuses a great deal on storage units and properties. I like this because, well, people are almost always looking for places to stick their stuff. I decided that if I was ready to add a little real estate to my portfolio, a Real Estate Investment Trust would be the way to go. If I decide to sell shares of something else, I’ll likely use the money and buy more EXR. Now, it’s true that I do have a very small percentage of my overall portfolio in bonds already, but it’s mostly in TIPS funds. So I decided to give a high-yield bond fund a whirl. Just because. It won’t screw up my asset allocation, since it’s not a very large chunk, so I’m just going for it. The other two are dividend aristocrats with high yields for dividend aristocrats. I picked AT&T because it’s a telecom and I don’t have much in the way of telecoms anywhere in my portfolio, and Sysco because it’s food service, I see it everywhere, and it has been doing well. Hell, right this second (my screenshot is already outdated), it’s the only one of my investments that’s actually in the black today. I’m excited because dividends should help my returns, and since I can’t add in outside money for this portfolio, it’s nice that I should be able to earn a little bit extra to reinvest. I suspect as the year moves forward, I’ll consolidate more in favor of the stock fund and the REIT, but we’ll see. I expect an interesting outcome, since this is the first time I’ve put real thought into creating a portfolio like this. Up until now, it’s been all-market funds and letting Betterment do its thing. What do you think of my portfolio? Am I about to crash and burn? Thanks for sharing your strategy! I look forward to following your portfolio. Kapitall looks pretty interesting. I could have saved a lot of money with free trades… ouch. Looks like a very interesting strategy. I myself have started a dividend portfolio in the UK with Dividends Aristocrat stocks which have a history of increasing dividends. I’m not really interested in the value as these stocks will be around for ever, I’m more interested that the income will rise every year. You commented on it being depressing that the market was down. Here is Warren Buffett talking about this for about 2 minutes in a clever way.